So the final result of rhinoplasty depends on surgeon decisions during the surgery itself and if these conclusions didn’t lead to the favorable nose shape it will cause unsatisfied patient. applicant’s contemplated shape which this leads to major difficulties in Rhinoplasty for both surgeon and applicants. 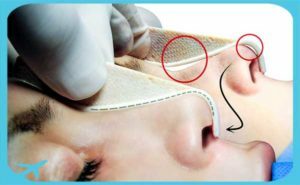 To resolve these difficulties , and on the other hand helping the surgeon and making the patient certain to achieve the favorite nose shape, Rhinoplasty method by using custom control molds is highly suggested. 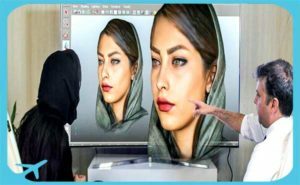 Step 1: Applicant face will be scanned by 3D scanner to make a high quality 3D model. 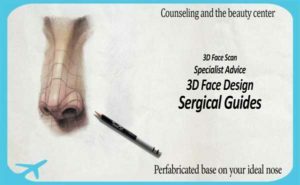 Step2: Consult with the applicant and knowing the ideal design of the nose after the surgery. Step 3: Analyzing the necessary changes that should be applied during the surgery. 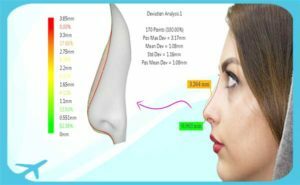 These analyses are basically based on long term favorite result of the rhinoplasty surgery, and that surgeon should estimate the difference between nose shape that should. 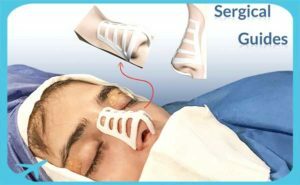 be achieved during surgery and ideal long term result. Step4: Surgical consultation and guides. Step 5: Final preparation before surgery and consultation.